We specialize in providing Coin Operated Massage Chair widely using for commercial use.that are manufactured using quality material as per the latest technology. With 5 different types of massaging, these coin operated massage chairs are used for increasing the blood circulation of the body and provide relief in muscle fatigue, stiff foot and calf. Our range of Civic Massager has a power of 180 W and heating massage function through which calf rest can be adjusted. 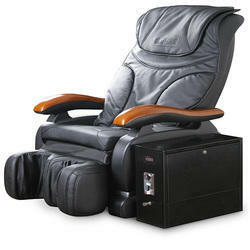 Looking for Commercial Operated Massage Chair ?